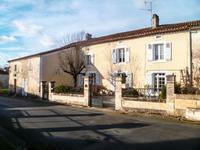 Large house with 3 bedrooms, small manageable garden and a garage in a pretty village in the Dordogne, close to amenities. This large property with a pretty small garden would make a perfect lock up and leave or . . . Very nice lock up and leave house in a co-property with heated swimming pool and gardens. The perfect lock up and leave house in a pretty village close to amenities, with 3 bedrooms . . .
Lovely hamlet property in a quiet location with open countryside views. In need of some . . . 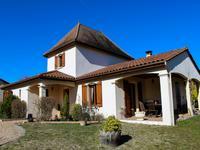 Very nice longère with 2 bedrooms, with a lovely covered terrace, swimming pool, garage and garden. This lovely house is tucked away down a tiny lane, so in a very peaceful environment. . . . The perfect lock up and leave holiday home. Nice fully furnished 4 bedroom house within a co-property with lovely gardens and a heated swimming pool. This house is in a lovely co-property situated in a very pretty village in the Dordogne. . . .
Stone farmhouse with attached gite, barns and swimming-pool. 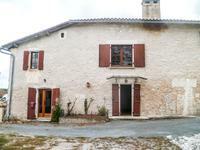 In a small and quiet hamlet, 2 minutes from the main shops, nice farmhouse in "U" shape, . 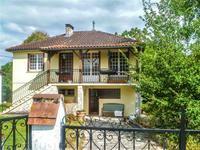 . .
Lovely house in attractive Dordogne village. Just reduced! This very pretty, character detached house has 4 bedrooms, 3 bathrooms, a large barn, . 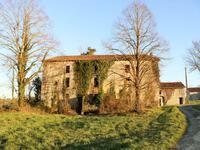 . .
Beautiful old farm needing complete renovation except for all roofs that are in excellent condition! 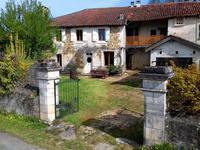 This lovely old farm is within walking distance to the village of Cherval, with its excellent . . .
Lovely house ready to move into, with 3 bedrooms, swimming pool and garage.Quiet environment, close to the lively village of Verteillac. 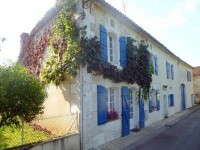 This very nice property in a peaceful location has a lot to offer with lovely old beams and . . .
With 4 double bedrooms, a charming breakfast kitchen and open plan living dining room with . 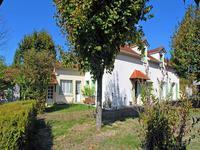 . .
Great Location for this three bedroomed house and 2 bedroom gîte with lovely grounds and land! A three bedroomed house with gas central heating and its 2 bedroom gîte in a very quiet . . .
An exceptional property which has been lovingly restored in the last years, rooms with . . .
Charming 2 bedroomed farmhouse with barns and views. Stone property Single storey Massive views Convertible outbuildings 2.5 acres of land 5 . . .
Lovely stone property comprising 3 dwellings, barn & delightful gardens. This charming property is set in a delightful country hamlet, it is a short drive to shops . . .
Tastefully renovated 3 bedroom village house with garden, situated in the thriving village of La Tour Blanche which has everything you could ask for. This very nicely and tastefully renovated village house could make either a permanent home, . 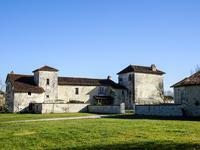 . .
Stone Village House with Tower, Barn and Terrain. House with Three bedrooms, two bathrooms and two sitting rooms. A separate stone Tower and . . .